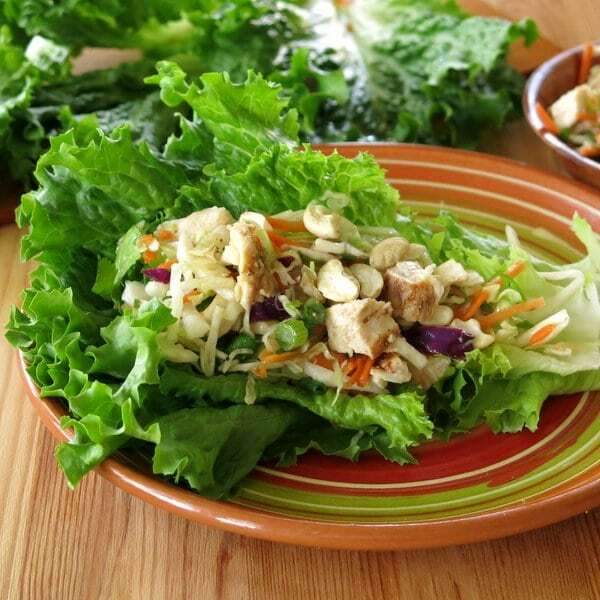 Asian Chicken Lettuce Wraps topped with cashews come together in minutes for an easy fake-out of this restaurant favorite. Completely transform last night’s chicken dinner with this cook once, eat twice meal! I sure hope you have some extra Blackened Chicken Breast with a touch of honey tucked away! 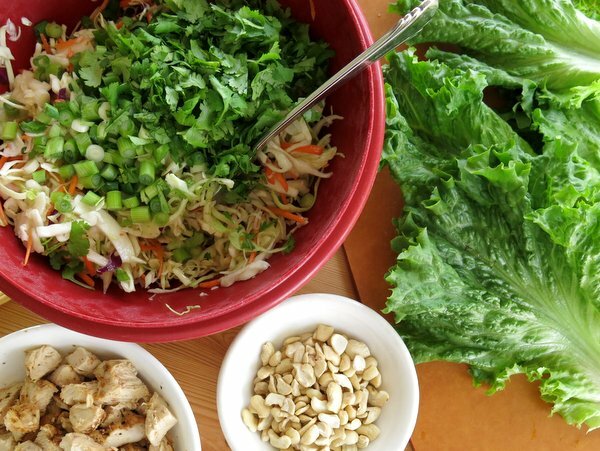 If so, these Asian Chicken Lettuce Wraps will come together in minutes. Minutes. (I’m just saying, my mantra is: it’s always a good idea to make lots of chicken when you’re cooking!) If so, this is a cook once, eat twice meal. And of course, cubed Blackened Chicken Breast with a touch of honey! I’m not going to lie to you. Things can get messy. It helps to use nice, big leaves, like green leafy lettuce, that you can wrap around the filling. On the other hand, big romaine lettuce leaves make a nice sturdy shell. Or, turn this recipe into a salad. No judgment here! If you choose to go the lettuce wrap route. You will not be disappointed. I truly did not miss the flour tortilla. Instead, I kinda felt like I was eating a salad with my hands…and…well, I liked it! Asian Chicken Lettuce Wraps topped with cashews come together in minutes for an easy fake-out of this restaurant favorite. To make the dressing, add all of the ingredients to a jar with a tight-fitting lid and shake to combine. 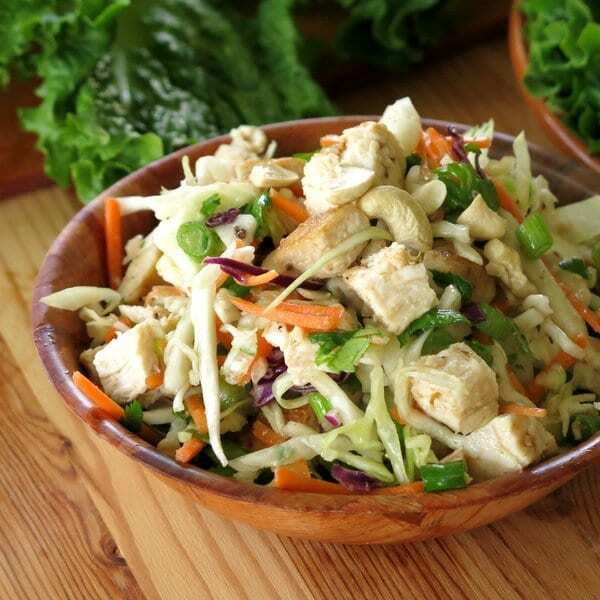 Toss cabbage and Asian Dressing together in a large bowl. Fold in chicken, cilantro and green onions. I love lettuce wraps! I have never made them at home before. Need to try. Marjory, I love, love, love your selection of ingredients. Cashews and cilantro. Chicken and green onions. What’s not to love? These look so tasty and healthy! 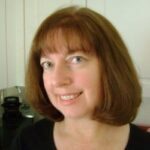 I love recipes that re-purpose all ready cooked chicken or turkey. You turned this into a kid friendly meal, they love to at with their hands! Well, I dont have any of that chicken tucked away, but I wish I did! I love lettuce wraps, mess be darned. 😉 These are great flavors, and something I’d be happy to eat any day of the week. i love the cashews in these wraps. Such an easy healthy weeknight meal! 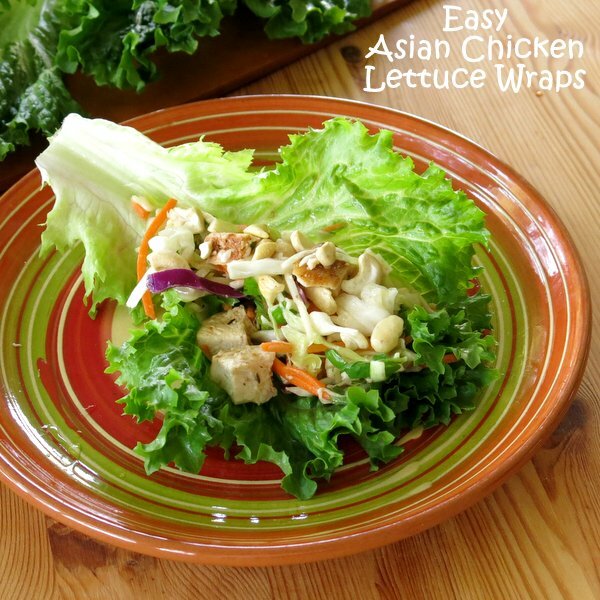 I just love these flavors and I happen to have some chicken (just need to grab some lettuce), and then off I go to make these fab wraps!! I rarely make Asian food at home but this makes me want to change my meal plan and make it immediately! Looks so delicious! I always cook extra chicken too so that I have it on hand for quick meals like this. And I can never resist a good lettuce wrap! mmmm leafy lettuce is so perfect for these wraps! I need to make some of these for lunch! I always feel like slightly rebellious when eating lettuce wraps, because something about it feels so wrong but tastes so right. I love how quickly this recipe comes together! I love lettuce wraps! Your take on it looks fabulous. I must try this recipe!! YUM!! These wraps look delicious! Love that cabbage slaw (one of my favorite vegetables of all time!) and you can never go wrong with a tangy Asian dressing. I want to make this right this very minute. Not only is it healthy it’s also gorgeous. A total must try. I adore lettuce wraps — and these look incredible. Might have to add something like this to next week’s meal plan!